MINNEAPOLIS--(BUSINESS WIRE)--Aug. 27, 2018-- Sleep Number Corporation (SNBR) announces a social impact commitment: To improve the overall well-being of one million youth through better sleep by 2025. 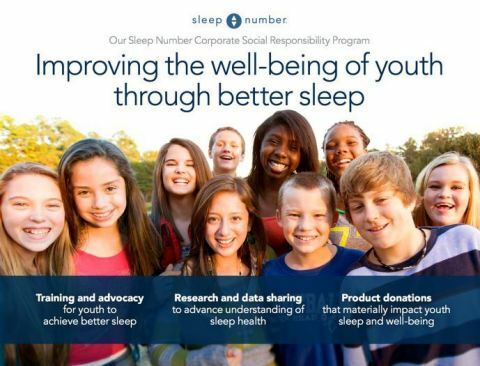 Research and data: Working directly with youth to understand their sleep habits and leveraging Sleep Number’s sleep insights, plus their algorithm and biometric database, to inform how to achieve high-quality sleep. Training and advocacy: Turning understanding into action by partnering with youth, parents, educators and other organizations focused on youth well-being.